Railpictures.ca - Bill Thomson Photo: CN Northern 6218 passes through the light rain with an excursion train, as viewed from across a pond at Brunner (located along the CN Newton Sub south of Milverton and north of Stratford). | Railpictures.ca – Canadian Railway Photography – photographie ferroviaire Canadienne. 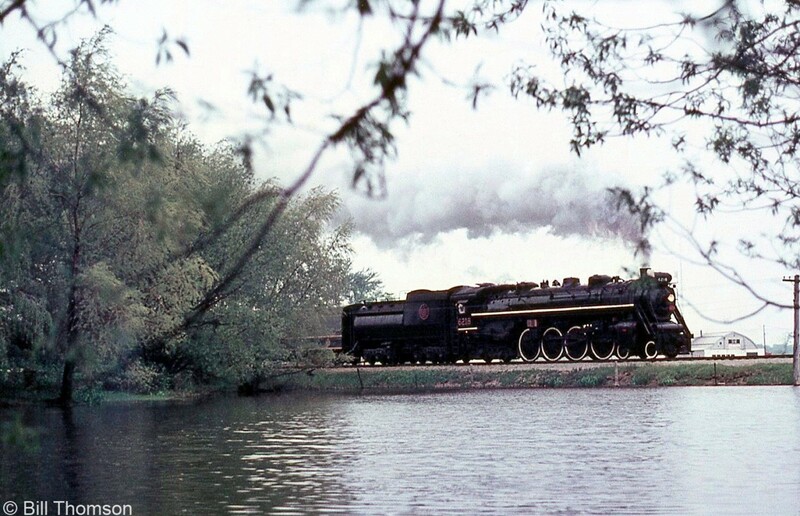 Caption: CN Northern 6218 passes through the light rain with an excursion train, as viewed from across a pond at Brunner (located along the CN Newton Sub south of Milverton and north of Stratford). Bring one of the 4-8-4′s back to service. Choose 6153, 6167, 6200, 6213, or 6218. There’s a nice selection for which to choose. Oh, why be a snob? Put Mountain 6060 in the mix!